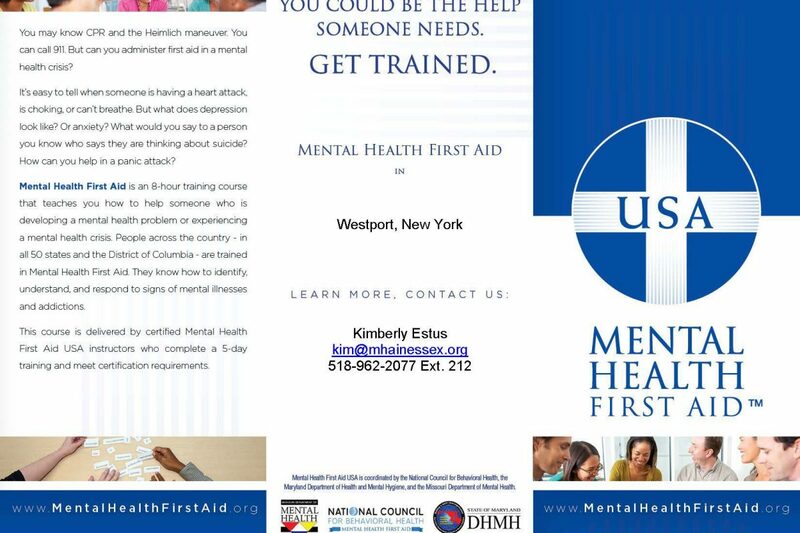 Mental Health First Aid | Mental Health Association in Essex County, Inc.
Home / Posts tagged "Mental Health First Aid"
The Essex County Suicide Prevention Coalition will be hosting three sessions of the Adult Mental Health First Aid Course in July; one in Lake Placid, one in Ticonderoga, and one in Lewis. The Adult Mental Health First Aid course is appropriate for anyone 18 years and older who wants to learn how to help a person who may be experiencing a mental health related crisis or problem. The 8-hour training helps you identify, understand, and respond to signs of addictions and mental illnesses. 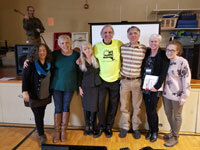 Topics covered include anxiety, depression, psychosis, and addictions. Just as CPR training helps a person with no clinical training assist an individual following a heart attack, Mental Health First Aid training helps a person assist someone experiencing a mental health crisis such as contemplating suicide. 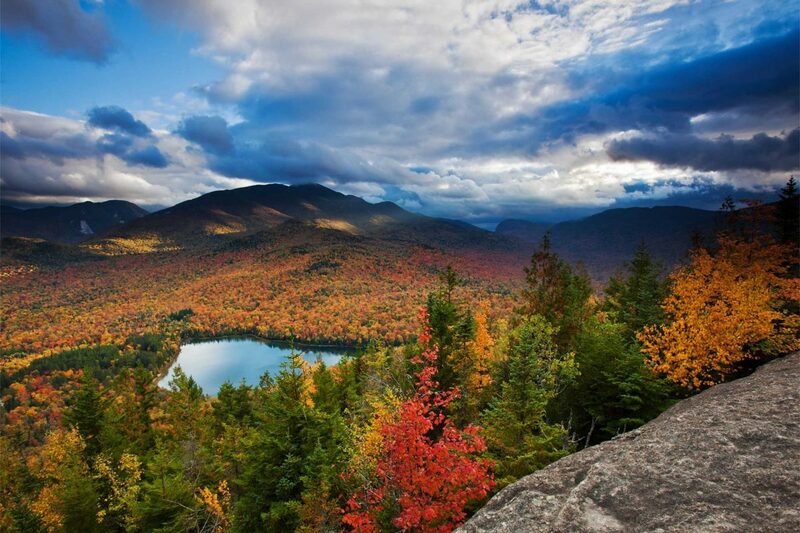 In both situations, the goal is to help support an individual until appropriate professional help arrives. Mental Health First Aiders learn a single 5-step strategy that includes assessing risk, respectfully listening to and supporting the individual in crisis, and identifying appropriate professional help and other supports. Participants are also introduced to risk factors and warning signs for mental health or substance use problems, engage in experiential activities that build understanding of the impact of illness on individuals and families, and learn about evidence-supported treatment and self-help strategies. Registration and materials are provided at no cost to the participant, but space is limited and pre-registration is required. Refreshments and lunch will be provided.